I must admit, Prune ($3.99) snuck up on me though it probably shouldn’t have. Made by ex-AAA developers out of Madison, apparently the game had been floating around the midwestern games scene, and I somehow missed it until I got an email about it a couple days ahead of launch. And holy heck, do I wish I had seen this sooner, because Prune is a gorgeous and unique experience. It’s not really like anything you’ve played, in that it’s a game about tree pruning. You draw a line from the base provided in order to draw the tree upward, from which it starts sprouting branches. Now, to help it grow, you must trim off certain branches, which will cause other parts of the tree to grow bigger and better. Essentially, the more substantial the trim, the more that the rest of the tree can grow, though if you cut off a branch, it won’t grow any further. Each level gives you the goal of getting the tree to grow a certain amount of flowers, generally by coming in contact with light. Where the fun and challenge of Prune comes in is that you have to deal with elements like wind, suns that will accelerate or corrupt your tree’s growth, and more. You’ll have to grow and prune your tree around difficult circumstances. The game does a great job at throwing all sorts of interesting challenges your way, keeping you on your toes for as to what might come next. There’s loads of variety across the several dozen levels here. Prune goes a long way to avoid any form of frustration. If you fail at a level too many times, it’ll offer you the opportunity to skip it. Any solution really has to be triggered once, if the tree falls apart, gets infected by red, or if you trim it and accidentally cut off a large branch that would otherwise fail you, well, you still beat the level. There’s no real high score tracking for doing well, but that’s not the point of Prune. 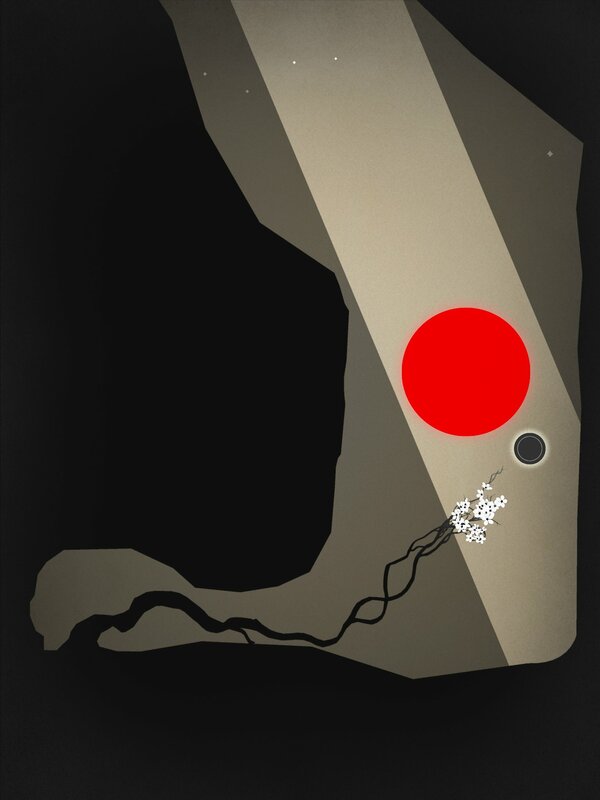 Prune is perfectly playable on phones since you can pinch and zoom around the map, but it’s a game that I much prefer playing on the iPad. It’s easier to make subtle changes on the bigger screen. Thankfully, there’s iCloud support, which worked seamlessly for me. While you’re not syncing anything more complex than which levels you have unlocked and completed, it’s still quite the welcome feature to have. This is a game that requires quick thinking and reactions, as you need to manage your tree’s growth, but it’s not an action game. You have to find be thoughtful in how you plan out your growth, but you then have to be sure to swiftly cut down anything that could harm the entire tree’s growth. But sometimes, you just have to be smart when your tree is all grown out, to cut only what needs cutting. Prune contains multitudes. It’s something that feels a lot like anything I’ve played, despite recognizable elements. It’s something I sat down and just had to take in, enjoying it in a serene state of mind, while still somehow being challenged. It’s a duality that this game does really well. Prune is such a gorgeous experience – the music goes a long way toward setting the atmosphere, and the sounds of when the flowers bloom on your tree provide the rising notes marking your success. The game is otherwise dark with clever usage of color, and sound & music cues that inform you of what’s going on. There’s no dialog in the game, but the story and point of the experience becomes steadily clear as you play it. 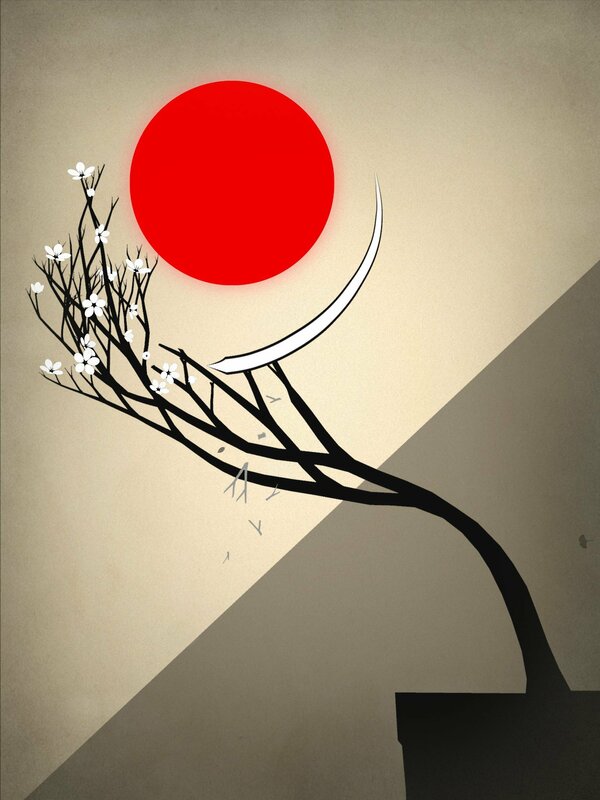 And really, Prune is a game that you must play. My review feels short, but because this is something that grows from such simple origins, of being about trimming trees with finger swipes, and it grows out into something gorgeous and complex. Simple but beautiful, and something truly unique. Play Prune.